Wedding ceremonies can be held in Aghia Fotini, the charming chapel located on the premises. 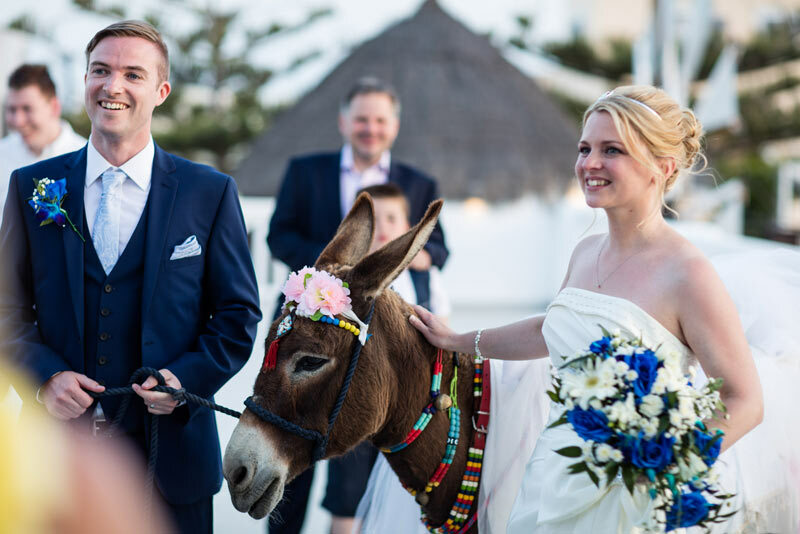 Pyrgos Restaurant also offers an outdoor reception area which is a great choice for wedding ceremonies as well as a welcome drink for your guests. This reception area is adjacent to the restaurant halls and it is fully equipped with a bar and sound system. 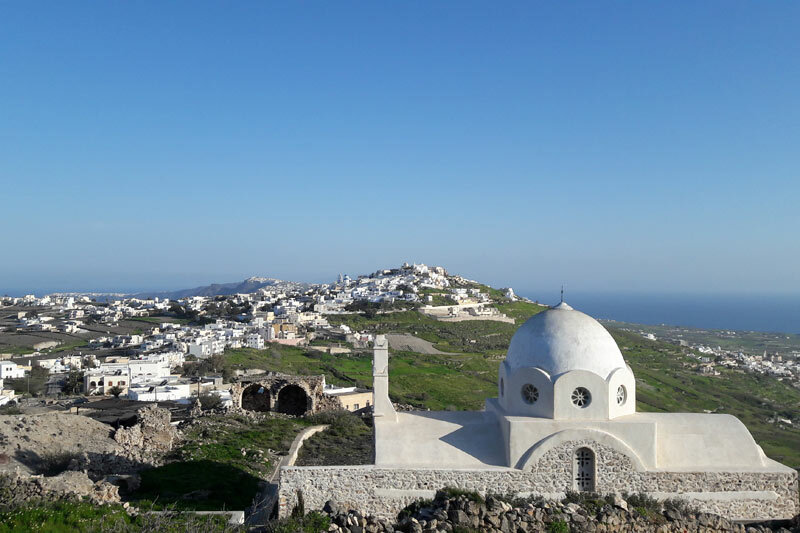 Its idyllic location offers the opportunity to admire views to the picturesque Pyrgos village and the surrounding vineyards as well as a panoramic view of the island. The outdoor reception area can host up to 150 guests. 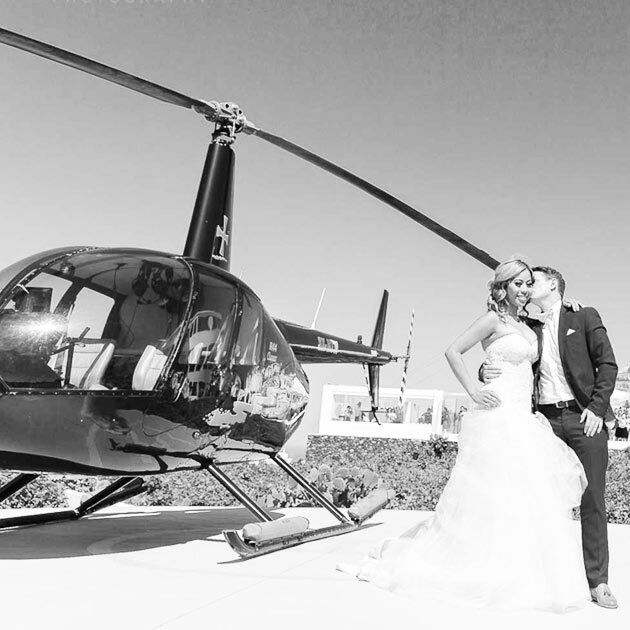 Enjoy a private helicopter ride in Santorini on your wedding day or for a special dinner! 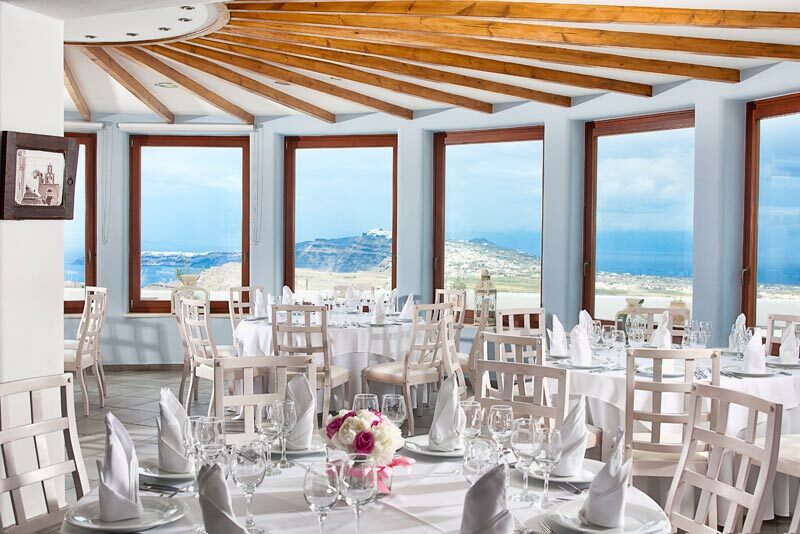 Pyrgos Restaurant offers a complete range of fully functional halls with stunning views for a flawless wedding reception or event! Love is all you need! 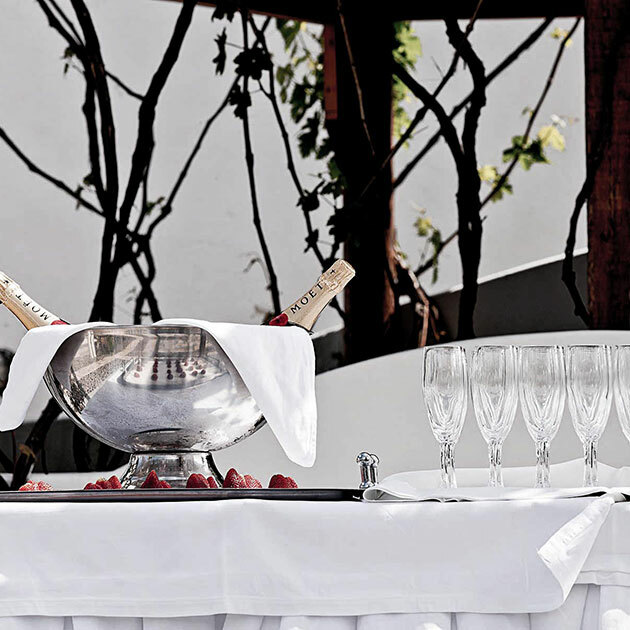 Celebrate the most special day of your life with a memorable wedding reception in Pyrgos Restaurant!